New cruise terminals, more ships and a preferential climate is driving growth for cruises in the Canary Islands, as capacity is expected to be up over 10 percent in the region, according to the 2018-2019 Cruise Industry News Annual Report. The Canary Islands are expected to account for over 550,000 cruise guests, with 59 different ships offering regional itineraries at some point in 2018. It is the biggest year for the Canaries ever, bypassing the previous record set in 2015 by just under 10 percent. Like 2017, the German companies lead the way, with AIDA and TUI accounting for just under half of the entire market. 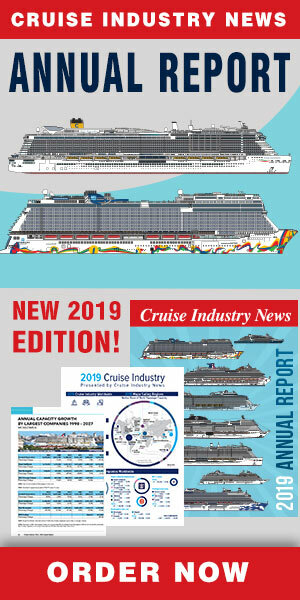 Eight AIDA ships will cruise the islands, for a market share of 28.4 percent, while TUI will have four ships, for a market share of 20.8 percent. P&O and Marella are the next largest operators by capacity.